On today’s episode of the Project Management for the Masses Podcast, I speak with Erik Fisher, host of the Beyond the To-Do List Podcast, and author of the book Beyond the To-Do List: Goals. As project managers, I believe we cannot give what we don’t have. I think it is absolutely important to have our own personal projects in order if we are to manage projects effectively for other people. Personal productivity is at the heart of moving our lives forward. I hope you enjoy my conversation with Erik! Erik Fisher is the host of the Beyond the To-Do List Podcast, one of today’s top podcasts in iTunes. 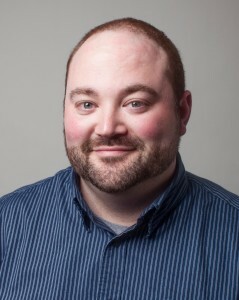 Erik is also the social media correspondent for the insanely popular Podcast Answer Man Podcast with Cliff Ravenscraft. Erik’s works for the Indiana Wesleyan University as their Social Media Manager. 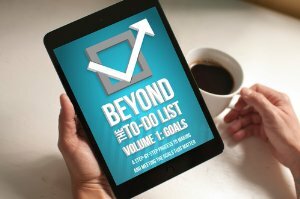 Recently, Erik has co-written the book Beyond the To-Do List: Goals. During today’s episode I decided to create a small book club to read Erik Fisher’s book. In this club, I will set up a private message board for us to discuss the book as we read it, and also a regular (either weekly or bi-weekly) group call. The cool thing is: Erik might even join us on this club! How often have you had the chance to read a book and have the author available to comment on it as you go? I plan on starting this soon, so if you’d like in and be on this with Erik and I, first buy the book, then contact me. On today’s show I also announce the winner of the Better Project Status Report course and critique that Elizabeth Harrin has just launched and generously offer to one of my listeners. Check it out!